Leaders are impatient because they are eager to achieve their vision. However, other people in the organization aren’t always on the same page. How do we close the gap between where we want our team to be and where they are? The answer lies in the Law of Explosive Growth. 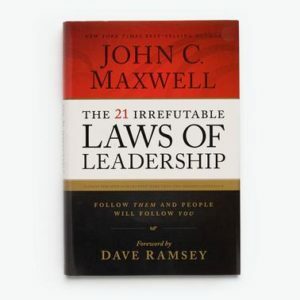 Maxwell writes these three critical stages of your leadership journey: If you develop yourself, you can experience personal success. If you grow a team, your organization can experience growth. And if you develop leaders, your organization can achieve explosive growth. Becoming a great leader is about more than attracting followers. You also need to spend time developing leaders and encouraging strong employees in your company to grow. 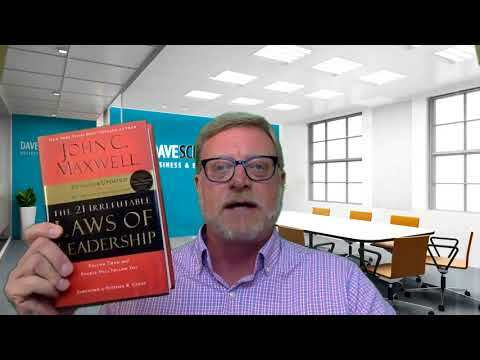 In his chapter on the Law of Explosive Growth, John Maxwell writes, “Good leaders lead for the sake of their followers and for what they can leave behind after their time of leadership is completed.” While it’s nice to feel personally needed as a leader, you’re limiting the potential of your company unless you aim to train other leaders in your organization. Your company will fall apart if you’re the only engine powering your business. How can regional branches thrive without you if you’ve built a company that needs your presence to survive? And more importantly, what happens when you retire? If you spend time developing other influential leaders to carry the weight, your company will have longevity. Maxwell writes that it’s the weakest members of the organization that require the most time and attention. If you focus on that bottom 20%, you’ll spend 80% of your time trying to help them. However, if you use that time to develop your top 20% of employees instead, their leadership can help carry the weaker employees so that everyone improves overall. Think about the three stages of the leadership process: personal development, team development, and leader development. Which step of the process are you currently in? Focus on your goal and use that to motivate you as you blast through stage one and two and arrive at step three. Next, think about what you’re currently doing to discover potential leaders. This could require an overhaul of your hiring process to attract the right people. Seek out leaders at conventions or networking events and make connections. You can also hire a skilled recruiter to find people with the leadership qualities you’re looking for. Finally, you want to retain the leaders you do hire. Focus on becoming the kind of leader that other leaders respect and want to follow. Give your leaders the freedom and resources they need to succeed and create an environment that encourages innovation. Encourage risk, as that’s the only way your organization will grow, and generously reward success when you see it. The Law of Explosive Growth is all about your leadership style. Fill out my contact form and let’s meet on a video call to work on shaping your leadership skills.